As executive managing director for Colliers International’s Greater Los Angeles region, Cody provides guidance and leadership for our sales professionals and support staff across 10 Southern California offices. With more than 15 years of experience in commercial real estate, Cody has a broad background in the brokerage business, including six years spent building and managing a boutique firm of his own. Throughout his career, he has represented private clients, general partnerships, limited liability partnerships, property syndicators, developers, institutional investors and real estate investment trusts. As an enterprising and hard-working person, Cody places great value in leading by example and ensuring that he is both available and accessible to clients and professionals. 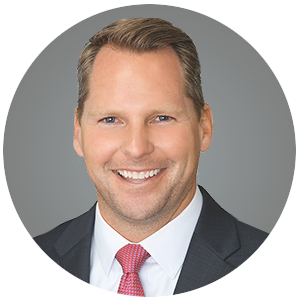 Prior to joining Colliers, Cody served as a regional manager for Marcus & Millichap, where he led a sales force of more than 60 commercial real estate investment brokers and loan originators in the Inland Empire and Los Angeles. There, in addition to recruiting and coaching new and experienced agents through the brokerage continuum, Cody developed programs and strategies to ensure the overall success of the region. Cody understands that the brokerage business is about people. As such, he is dedicated to supporting and developing professionals to make the most of what Colliers has to offer to both build their business and best service their clients.